This year’s White House Science Fair is a special one for us, not just because it marks the last fair for the administration that made history by first introducing the event six years ago, but also because some of our Google Science Fair and Made with Code teens get the chance to be a part of this history. This will mark the fifth year that a few of the Google Science Fair winners — this year Olivia Hallisey, Anurudh Ganesan and Deepika Kurup — will have the chance to exhibit their projects, and the first time a group of Made with Code teen programmers dubbed “Team Alpha Wolf” — Siobhan Garry, Mona Fariborzi, Lauren Mori, Bansi Parekh and McKenna Stamp — will get to showcase their creativity and passion to impact change on LGBTQIA+ issues. We are so proud of these students who are being recognized as America’s most innovative STEM students. Olivia was concerned about the dangers of the Ebola epidemic spreading through Africa, in regions where many did not have access to care. This worry, coupled with her curiosity about silk storage and whether Ebola antibodies could travel longer without refrigeration as a result of silk’s stabilizing properties, led her to develop the Ebola Assay — a temperature-independent, rapid, portable and inexpensive diagnostic test for the detection of the Ebola virus. The card can potentially save thousands of lives. During summer trips to India with her family, Deepika felt troubled by the sight of children drinking unclean water. She discovered that according to the World Health Organization, the world is in the midst of a global water crisis that has resulted in one-ninth of the global population without access to clean water. Her solution — a solar-powered technology that uses silver and other materials to rapidly remove bacteria from water — can potentially provide cleaner drinking water to people around the world. As an infant, Anurudh and his grandparents had to walk 10 miles to a remote clinic in India so that he could receive critical vaccinations. Upon their arrival, his grandparents learned that high temperatures and lack of refrigeration made the vaccines they sought ineffective. This personal experience and his discovery that according to UNICEF, 1.5 million children die every year as a result of lack of access to safe and effective vaccines, inspired Anurudh to search for better methods of refrigerations for vaccines. He invented the VAXXWAGON, which can effectively transport vaccines in the last leg of distribution without the use of ice (he learned that ice packs used to transport vaccines can freeze them, diminishing their efficacy) and electricity. It has the potential to save thousands of lives worldwide. 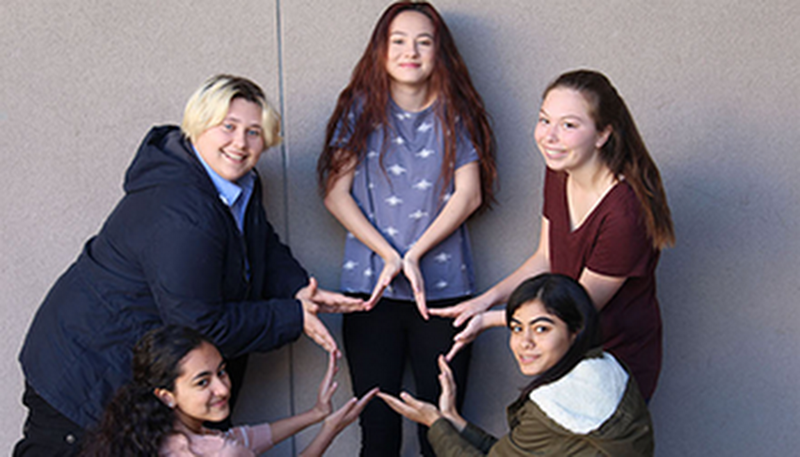 Siobhan, Mona, Lauren, Bansi and McKenna created Spectrum, an Android app that aims to provide a resource network for the LGBTQIA+ community, especially teens looking for a safe support system. Spectrum addresses the need among teens for a positive and welcoming place to turn to as they navigate gender identity, sexual orientation and romantic orientation. 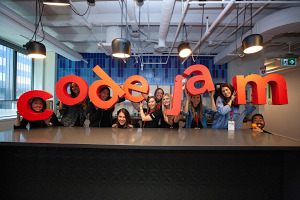 In 2016, the Team Alpha Wolf teens were named mentors of Google’s Made with Code movement — an initiative that inspires girls to try code and to see it as a means to pursue their dream careers and the causes they’re passionate about. 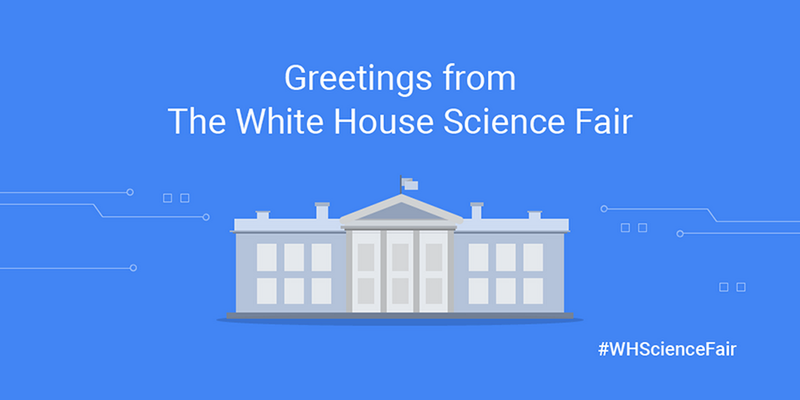 Stay tuned for more action at this sixth and final White House Science Fair under President Obama’s administration by keeping up with us on Twitter using #whsciencefair and #googlesciencefair and on our Google+ page. 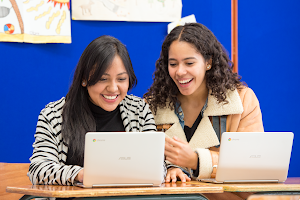 To all of you budding scientists, explorers, engineers, mathematicians and innovators, we’re now accepting applications for Google Science Fair 2016. And don’t forget to check out how you can get involved in Made with Code to inspire more girls to code.